Assassin's Creed Odyssey players can pass time to different parts of the day simply by meditating. 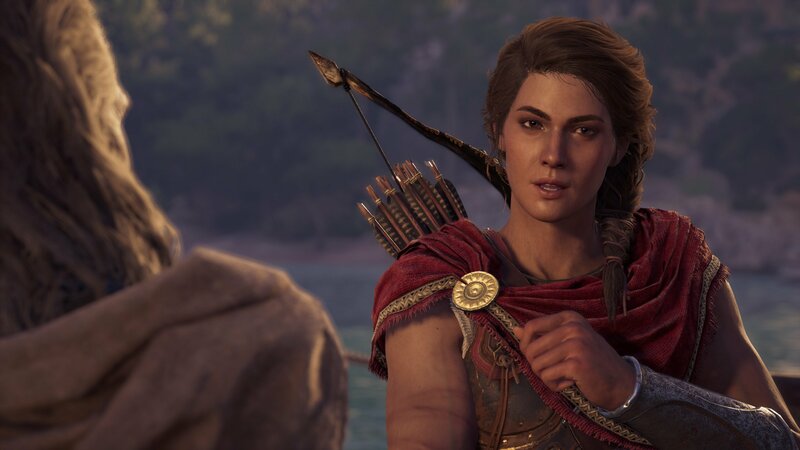 Like in past Ubisoft games, Assassin's Creed Odyssey has a mechanic put in place that allows players to quickly pass the time. This is achieved by meditating, the likes of which allows players to shift the day/night cycle to a time of their choosing. Passing the time by meditating is a simple, standard function in Assassin's Creed Odyssey, generally accomplished with just one button. PlayStation 4 players can meditate by pressing and holding the DualShock 4's center touch pad; Xbox One players need only press and hold the View button. On PC, meditation is typically mapped to the M key. Once pressed, players will note that the sun will begin to quickly move across the sky, with meditation generally moving time forward about 12 hours, from daytime to nighttime or nighttime to daytime. As might be expected, meditating is not allowed in instances where the player is in direct danger — sorry, you just won't be able to wait out any tense skirmishes. However, meditation can be used to jump from day to night in order to find opportunities to break through guard patrols or make greater use of the game's stealth mechanics. It's also a great way to get the most out of the game's robust Photo Mode, as many of Odyssey's most scenic vistas are stunning to look at in morning or evening. Meditating to pass the time is not difficult to accomplish, but clever and frequent use of meditation can help Assassin's Creed Odyssey players make the most out of the game. For more tips, strategies, and tutorials, be sure to check out Shacknews' Assassin's Creed Odyssey walkthrough and guide.